Today is the day that Malaysia’s most darling couple, Fasha Sandha and Aidil Aziz, become husband and wife. Lots of excitement has been building up to this special day, especially when Fasha teased fans with pre-wedding themed photoshoots that got us guessing if we were looking at her actual wedding dress. 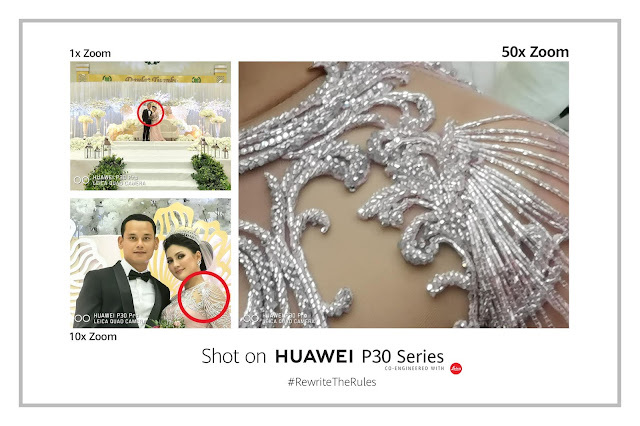 Thanks to the HUAWEI P30 Series’ revolutionary SuperZoom lens that can zoom up to 50X, we were able to capture some of the most precious moment of those photoshoots. And today, we got the chance to join them on their special day. Take a look at the photos below – don’t they just look stunning? Just look at the details on Fasha’s elegant white and soft pink wedding gown during her Akad Nikah and reception ceremonies. Paired with an ultra-long veil, these exclusive wedding gowns was exclusively designed by Rizman Ruzaini that is known for their sophisticated approach and exquisite detailing. 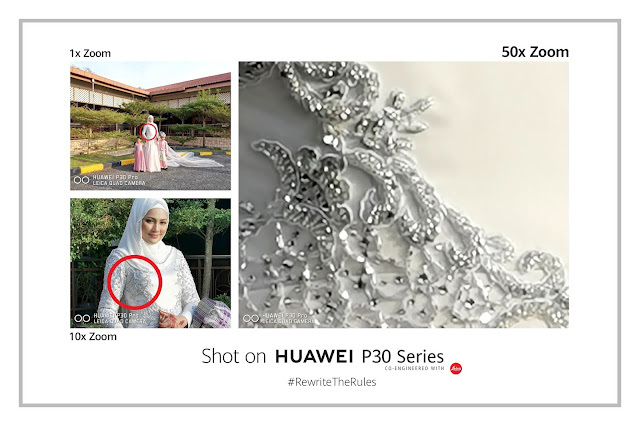 As can clearly be seen from the image posted on Fasha’s Instagram, the attention to detail when it comes to the design of her dress is truly immaculate as nothing escapes Rizman Ruzaini’s attention. With their touch, perfection and beauty prevails. Fasha Sandha and Aidil Aziz are truly the bride and groom of the year! With technology such as the Leica Quad Camera System which includes a SuperZoom Lens that can zoom up to 50x, a 40MP Super Sensing Camera, and a 20MP Ultra Wide Angle Lens, the HUAWEI P30 Series is made to impress. Rewriting the rules of photography, it is accentuating a new peak of smartphone photography with the capability to capture the best things in life and create your vision for the future. We are only few days away from the official launch of the HUAWEI P30 Series in Malaysia on 2nd April 2019. Do stay tuned as we announce more details of the devices in Malaysia.